A city of extremes, Rabat is a place where modernity and design punctuate history. Visitors can find their place between the future and the past at The Ritz-Carlton, Rabat. Enviably located along the Royal Golf Dar Es Salam Golf Club. This luxury resort offers distinctive Moroccan experiences, sophisticated rooms and suites and international cuisine all just steps away from Rabat’s premier attractions. 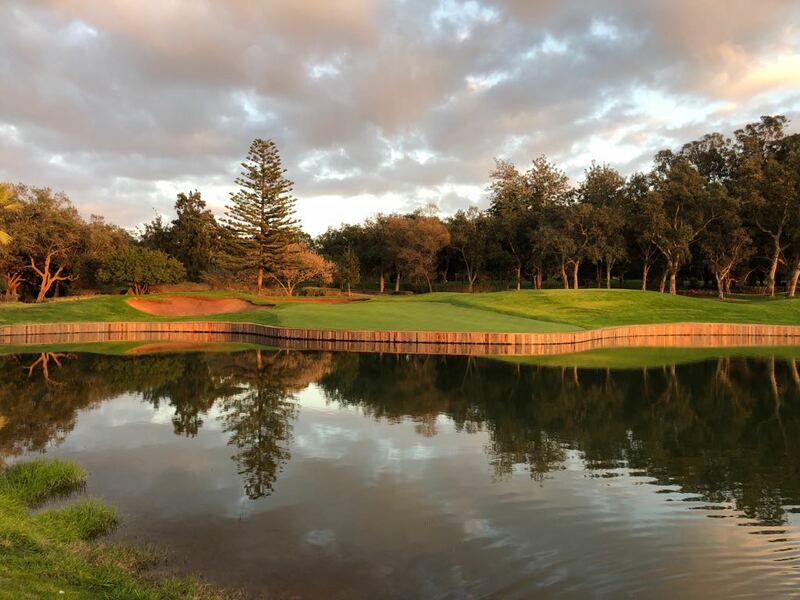 Morocco’s capital of Rabat is home to the Golfclub Royal Golf Dar Es Salam. It lies on a 440-hectare, hilly terrain in the middle of an idyllic cork tree forest near the Atlantic coast. 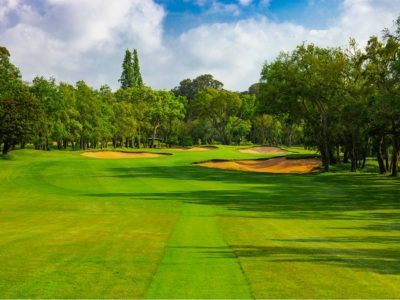 From Rabat’s city center, the Royal Golf Dar Es Salam golf club is easily reachable in about 15 minutes via Avenue Mohamed VI. It was founded in 1972 at the suggestion of Moroccan King Hassan II. and houses two 18-hole and a 9-hole course that were designed by the famous golf course architect Robert Trent Jones Sr. 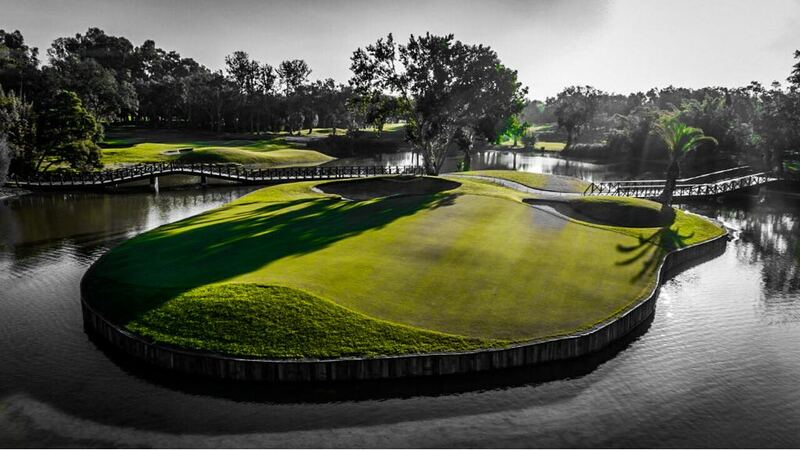 The 18-hole Red Course with par 73 is the club’s championship course and was redesigned in 2016 by Cabell Robinson. It has an impressive length of 6,702 meters and boasts large, partly elevated greens and numerous doglegs. The numerous bunkers make the course at Royal Golf Dar Es Salam very technical and demanding. 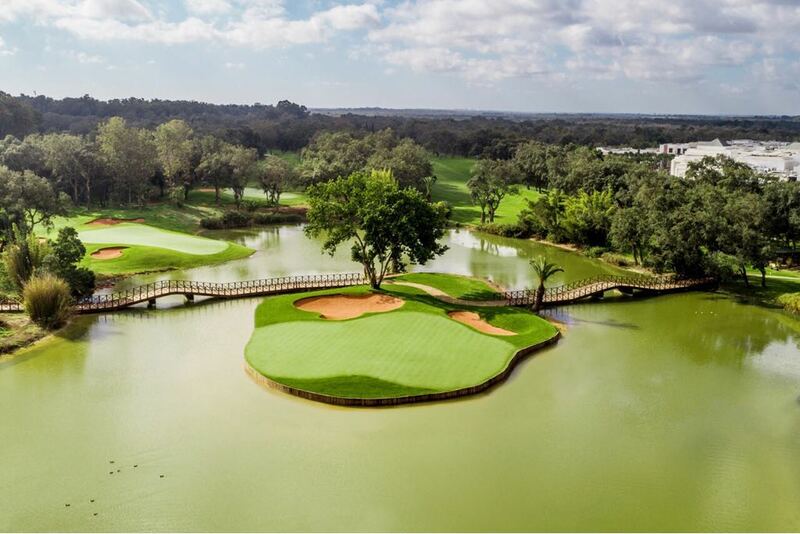 Its signature hole is hole 9, at which an island green requires a 172-meter shot across a large lily pond. The 18-hole Blue Course is considerably shorter with 6,205 meters, features fast greens and several water hazards. 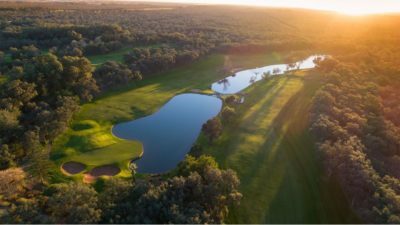 Hole 11 is particularly noteworthy, with a narrowed fairway, a lake on the left side, and Roman columns from the antique city of Volubilis. Finally, the 9-hole Green Course with par 32 is a good place to practice the short game. 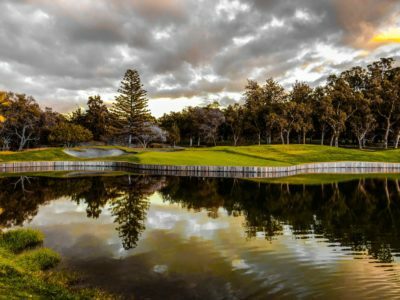 Enjoy your stay in Morocco and get a chance to play the most beautiful courses in Morocco. Contact us and book tee times over Dar Es Salam (Blue Course, Milchifenn Golf CLub, The Palm Golf CLub, Bosnia Golf Club and much more….. There are no other place where you would find such fine golf courses. Morocco’s capital, Rabat, is often overlooked by tourists. They may stop – but they don’t stay. It doesn’t necessarily have the allure of the more famous Marrakech or Fez. True, it has some sights, but not in the density or grandeur that visitors can find in other cities and so, for those on shorter trips, it slides down the list of places to see. In truth, though, Rabat offers an interesting snapshot of the development of Morocco. It is really three cities in one. It is an ancient city, with the first development starting in the 12th century. The walls around the old town went up and a fortress was constructed for protection and as a base of attack against Spain (then Iberia). But the expansion of the city was suddenly halted when its leader died and Rabat fell into decline for several centuries.